Wow! This is all some say when they see the beauty in the lines of the Eyra. 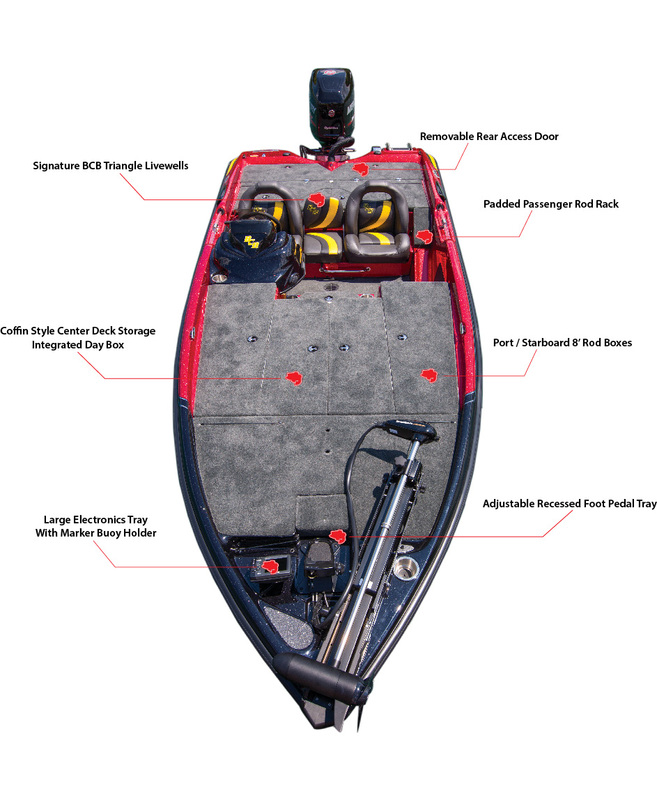 This model has earned the name as an award-winning bass boat with styling that is quite unconventional. 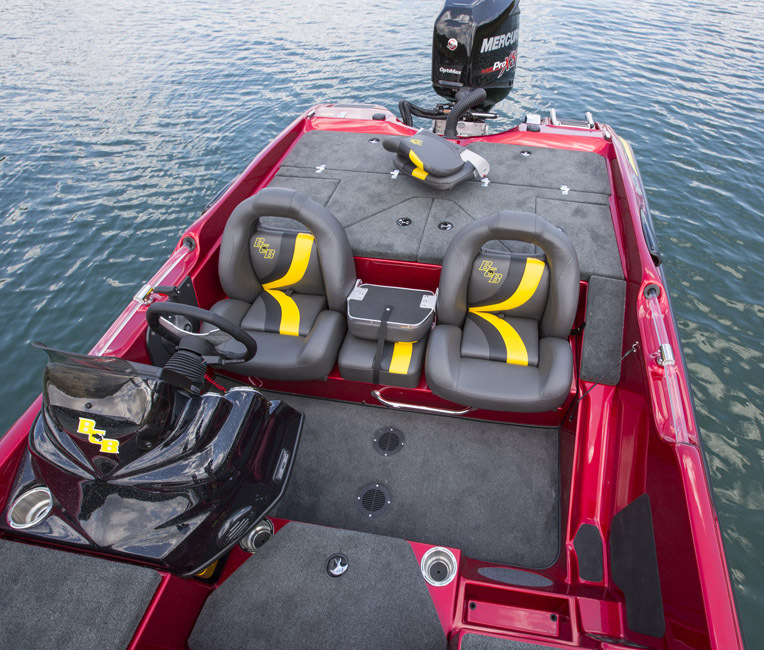 A new 20’2” hull was designed to allow the Eyra to perform from a 200 to a 300 with exceptional performance. The side cowl scoops for venting bring out the muscle car feel. 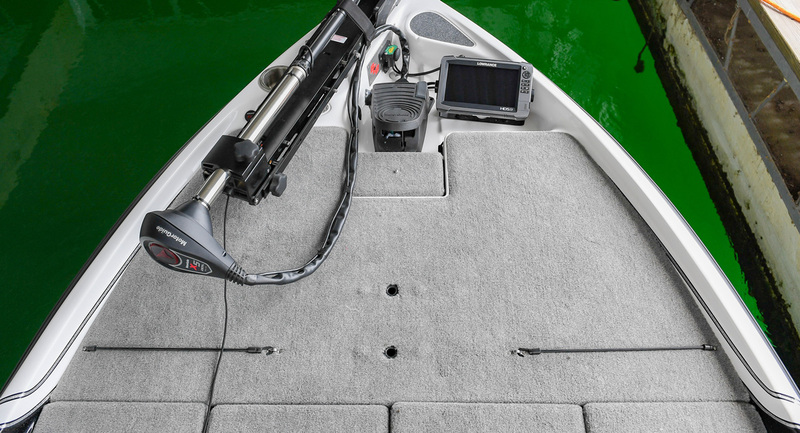 Lines on the boat include inlayed fish on the outer deck panels, forward of recessed deck corners, to prevent dock rash. Coffin opening center doors run in line to the rod boxes. They have a notch chock for tackle boxes to stand on edge, separated by the net trough in the center compartment. The aft storages resemble those models as well. 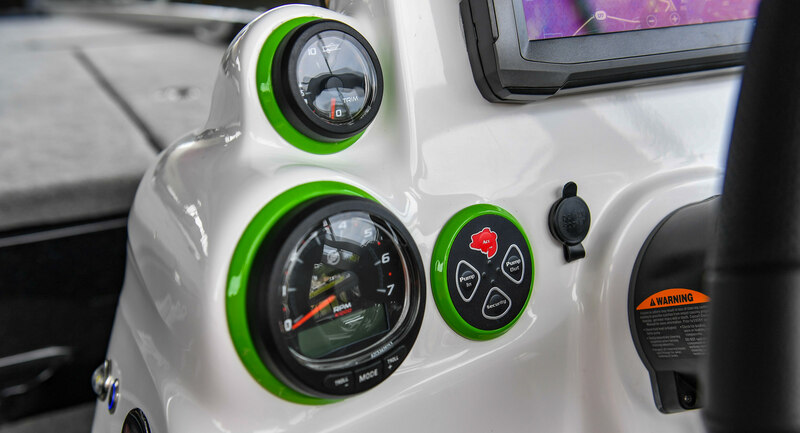 The rear access is quite different, as there is a special place for a tool box and oil tank. 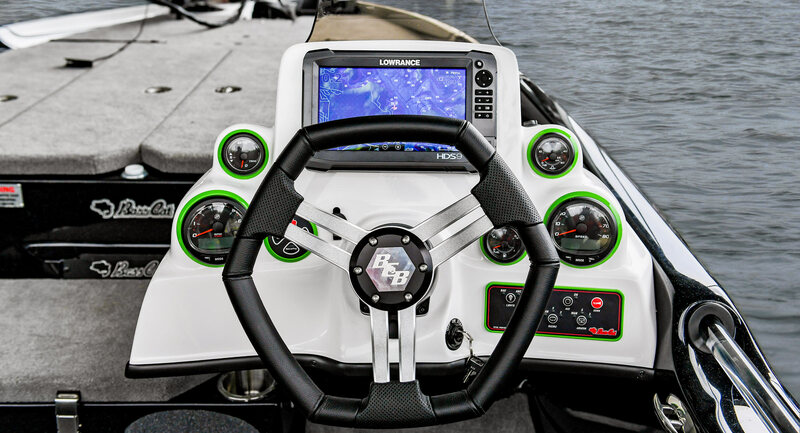 The cockpit is tighter and lower to bring the driver down in the boat giving you a more secure feeling. 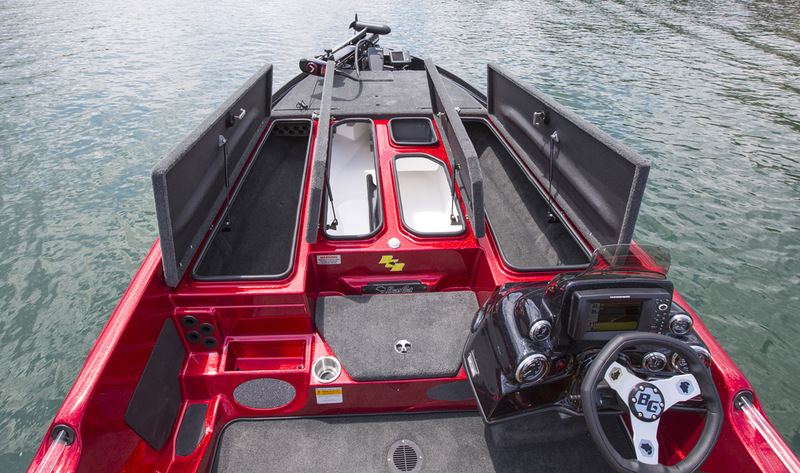 The nimble hull is quick to impress, as it carves the turns with ease, and clicks by your friends on a brisk morning.